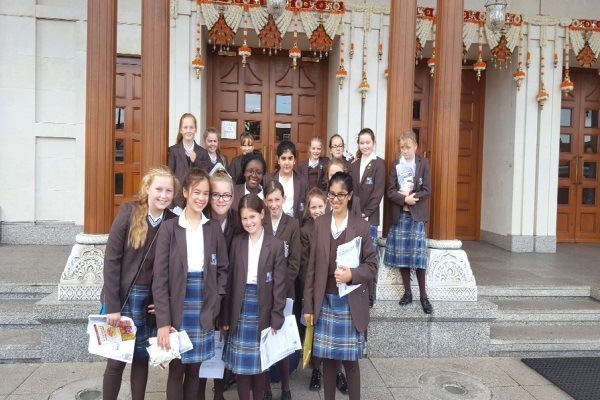 Year 6 and 7 were invited to visit the Mandir (Neasden Temple). Pupils were awe-inspired as we drove up to the temple owing the grandeur and size of the building. After security checks, pupils were asked to remove their shoes as these are not allowed to be worn on the marble floors. Pupils were shown to a small prayer area made of marble and gold and witnessed Hindus praying. We then went up to the Mandir itself to see Hindu men and women worshipping and offering food and gifts to Ganesh. Pupils were surprised to find out that all of the statues were washed and dressed every day by volunteers. Pupils then got to take part in the daily Hindu worship and could meditate through prayer. This was an amazing and spectacular once in a lifetime experience for everyone. 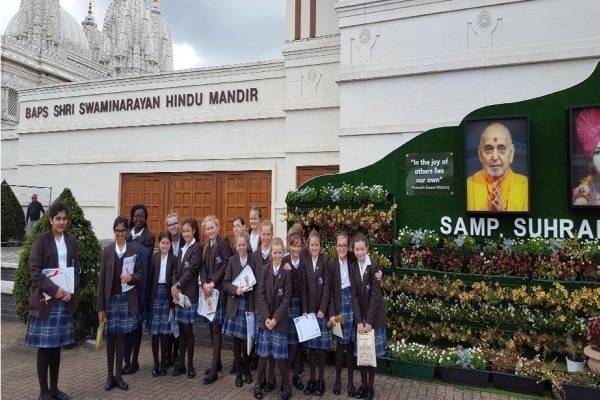 After the ceremony, pupils visited the exhibition and also had a talk by one the leaders of the Mandir. He explored the main beliefs about loving your neighbours and respecting parents and teachers. Pupils then had a chance to ask questions about what they had seen during the worship. It was a thoughtful and reflective experience for everyone.